Chicago Public School officials may have known for five years about lead-paint contamination at a low-income elementary school for five years without ordering any remediation, according to new documents. 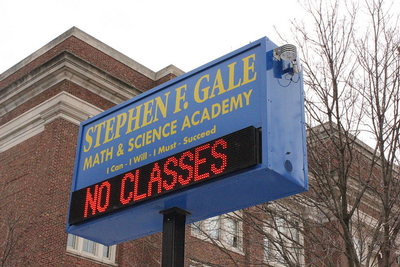 Seventy pages of internal Chicago Public School documents, acquired via a Freedom of Information Act (FOIA) request by the Chicago Light Brigade, show that multiple inspections for lead-based paint at the Stephen F. Gale Math & Science Academy produced positive results before any work was completed. Inspections at the Gale Academy found lead paint in classrooms and bathrooms on multiple floors, documents show. The documents were made public Oct. 22. The first testing was performed in July 2009. Another evaluation was completed in August 2013. Both of those reports indicated that lead-based paint was present in public areas, such as classrooms and bathrooms, on multiple floors of the facility, according to the documents. Lead levels reached 9.9 mg/cm2 on some walls and ceilings, the documents indicated. In May 2014, a letter was sent to parents that remediation work would be performed in six bathrooms at the school during June. Since that project, however, other evaluations have shown elevated lead levels on additional surfaces throughout the school, including handrails, according to the documents. The main building for Gale Academy for Math and Science opened in 1922. Pre-K and elementary students attend classes in the older building, while middle-school students use a newer annex complex, DNAinfo reported. Both buildings are located in Rogers Park and serve nearly 500 low-income students a year. The July 2009 evaluation found lead-based paint at or above the 1.0 mg/cm2 threshold level on ceilings and walls in the first-, second- and third-floor boys’ and girls’ bathrooms, the report said. Radiators in those bathrooms also tested positive and showed damage, the report said. At that time, the testing consultant recommended renovation by a licensed abatement contractor under the field monitoring of an environmental consultant, among other things. Four years later, another inspection found numerous surfaces contaminated with lead-based paint. It, too, recommended abatement by a licensed contractor. For years, community members and activists have pushed for repairs to Gale’s aging facility. Numerous reports have criticized the school district's officials, saying they had not addressed the school's condition and had not alerted parents to the dangers of lead paint and dust exposure. "Chicago Public Schools’ top priority is the safety and well-being of its students, teachers and staff," McCaffrey said. "Our facilities team continuously monitors buildings for any unsafe conditions, which includes preventing any buildings with lead-based paints from posing a health threat." The U.S. Environmental Protection Agency says that lead paint poisoning can cause lower intelligence, learning disabilities, behavioral issues and other irreversible damage in children. Pre-1978 hospitals, child-care facilities, schools and homes are likely to contain lead-based paint, according to the EPA. 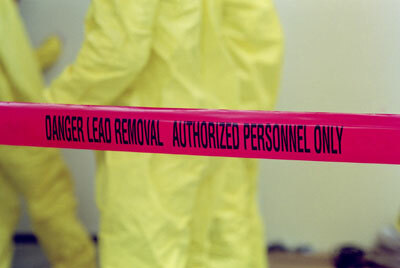 The EPA’s Renovation, Repair and Painting Rule (RRP) requires contractors who disturb lead paint in older facilities to be certified by EPA and trained. Renovation, repair, or painting work done in those facilities could release hazardous lead dust that can be harmful to occupants. The EPA’s Renovation, Repair and Painting Rule (RRP) requires that firms performing renovation, repair, and painting projects that disturb lead-based paint in these older facilities to be certified by EPA and trained in lead-safe work practices. Why would the school system, after a professional company found lead contamination in 2009, pay for another years later without having performed any remediation after the first inspection? Did they expect the lead to have mitigated itself with time? I hope my suspicions are wrong that they were hoping for a different result so that they wouldn't have to spend money there. I will note that the 9.9 mg/cm2 number is the "maxed out" reading on one of the popular portable XRF units commonly seen for rapid lead evaluation. I typically interpret that number as "At least 9.9"